Started in 2017, CWB has already bloomed into a supportive sisterhood that is enriching creative visionaries with the resources they need to bring their dreams to life. Host bi-monthly events and workshops on various topics that can help bring your brand to another level no matter where you are in your entrepreneurial journey. Foster opportunities to connect and build your network with other creative women from different industries like fashion, non-profit, media and more. Create regular online content and live chats where you can gain valuable insights from other creative business owners. CWB believes women get further together, and we are committed to supporting you in your creative business with the unique tools creative innovators need. If you have ideas for a workshop or are interested in sharing your expertise at an event, please contact us here. Jasmine believes women go further together. 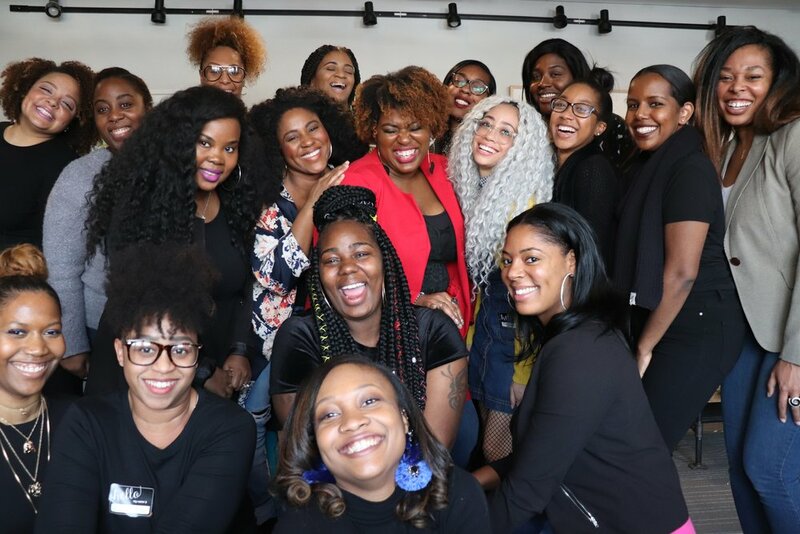 CWB combines her love for connecting women, hosting empowerment events, and supporting women entrepreneurs. Jasmine is an Indiana native who moved to NYC two years ago. She has dreamed of living here since she was a teenager. By day she is a passionate public health professional. Creatively she flourishes as a motivational speaker and event curator. She lives for the moments when she is serving the community and empowering women and girls.